Many people who trade Bitcoin either as a payment method on their websites or when trading it on crypto exchanges, use debit cards to convert the earned or acquired cryptocurrencies into cash. This is also an option for those who trade other cryptocurrencies who mainly first convert it to Bitcoin and then use these debit cards. There are also options for multi-asset cards (debit and pre-paid) as we shall see later. Nevertheless, less usability of crypto and tokens in the day-to-day activities and in actual markets while retaining their known benefits as cryptocurrencies, is one huge drawback to mass adoption. This is fueled by lack of means to making them more usable and definitely a few projects are attempting to solve the problem via crypto debit cards. Crypto debit cards are more convenient if they allow you to access your Bitcoins instantly and spend it freely.Some debit card providers will do the conversion to fiat although in many cases it won't be favorable as market rates. However, it adds a layer of convenience that balances out the cost, unless of course it is overlay costly. 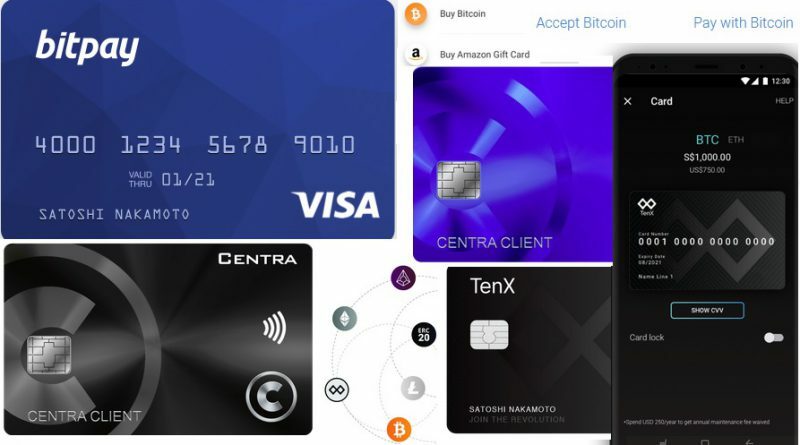 Here are some of the popular cryptocurrency debit cards you can consider today. BitPay Card allows you to turn your Bitcoins into dollars or local cash with instant conversion and spend them anywhere. You can also load dollars into your card through your Bitcoin wallet at zero percent fees. It allows you to spend a limit of $10,000 USD per day when purchasing using the BitPay Visa card but you can only withdraw $3,000 per day and $750 per transaction. You can do card to card transfers also, with a limit of $500 per day. You can also top up on your phone in addition to a PC. Coinbase Shift card allows Coinbase users in over 50 states in the United States to spend their Bitcoins locally. With an initial issuance fee of $10, and there are no fees on domestic transactions (for a limited time), and no fees when exchanging to USD. The daily spending limit is $1,000 and the withdrawal limit amount is $200. Cryptopay debit card also allows you to cash-out your Bitcoin and spend it where major cards are accepted. You can convert cryptocurrency in your Cryptopay Bitcoin Wallet to EUR, USD or GBP and load onto your Cryptopay Prepaid Card There is a USD Card with which you can load a maximum of $20,000 daily (and $10,000 for a single top-up for unlimited number of times a day) for verified customers and the load fee is 1 percent. There is also the option of a virtual card that costs around $2.50, a monthly service fee of $1.00, and loading fee of $1, and it also has three options just like the plastic card. It is ideal for online shopping and account verification. Wirex card can also be funded using Bitcoins or GBP, and then you can spend the funds as wished. There are two options, the virtual and plastic card, with the virtual being free and instant to issue. The plastic card is in the pipeline. SpectroCoin also offers Bitcoin debit cards that allows you to convert Bitcoins into (USD), euros (EUR) or pounds (GBP) and pay with Bitcoins wherever you are where major cards are accepted including ATM cash withdrawals around the globe. You can also link it to PayPal or other online wallets. You are able to load instantly your SpectroCoin wallet and you are allowed to fund with other cryptocurrencies such as Dash. There is no loading fees and there is unlimited lifetime withdrawals and deposits to the card for verified holders. It offers three options for currency: USD, EUR and GBP. Verified customers can top up a maximum of $3,000 per day for a maximum of two times. The currency exchange is 3 percent. The fee for a Card top up from SpectroCoin account is $3. Bitwala and Xapo have deactivated their Bitcoin debit cards although Bitwala indicated it is working on a new card to come later. One of the options for those dealing with other cryptocurrencies apart from Bitcoin is to first convert it to Bitcoin and then to fiat to use the Bitcoin debit card. However, there are debit cards that allow you to fund your account with other digital assets. The most frustrating part is that the companies facilitating them have not had a good time this year as many of their card issuers resulted to ditch them. 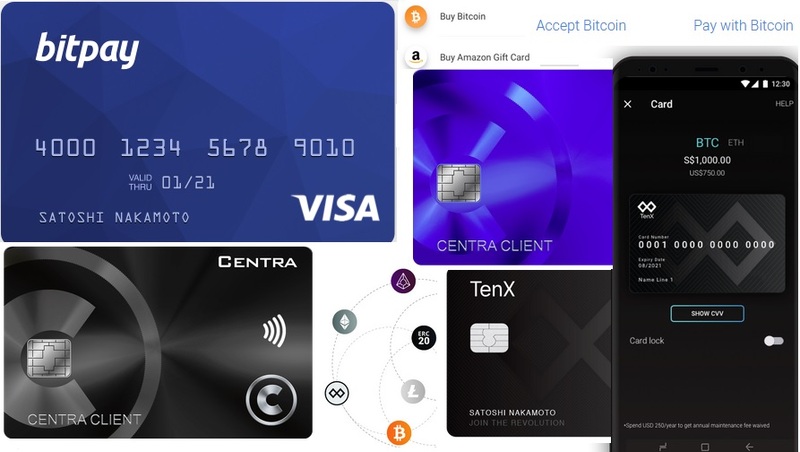 Centra pre-paid card allows you to spend and withdraw Bitcoin, Ethereum, Centra Token (CTR), DASH, Litecoin, Zcash, & Monero in your local currency worldwide. It offers three options for the card that costs differently. Withdrawal limits for the Centra card depend on the type of card you have but goes up to $3,000 per day and a monthly max of $200, 000. The fees for the card are $2.50 for USD and 1.00% + $3.00 for non-USD withdrawals. TenX, whose card was working for Ethereum withdrawals and spending of cryptocurrencies through WaveCrest as card issuer but then the debit cards got deactivated in January 2018, has just announced that they will update on the situation on Tuesday, probably with a new card on the way. The company has a goal of making crypto spendable anywhere, easily and was to add more cryptocurrencies in addition to Ethereum. Another ongoing project is Monaco Card, which is currently available in Asian countries but will roll out to Europe and U.S. later. You can fund (top-up) this card from Monaco wallet account to with instant conversion from crypto to fiat and then spend where major cards are accepted. The processing fee are typically 3-4% of the transaction and there are no minimum balance and no monthly fees requirements. A $200 limit on free ATM withdrawals and an inter-bank exchange limit of $2,000 applies. TokenCard is also another debit card under development that will allow users to spend and withdraw ETH, REP, DAI or the gold backed DGX or other ERC-20 tokens . The company behind the project is developing a Contract Wallet, TokenCard and Token App to facilitate this. With Uquid , customers could transfer Bitcoin, Ethereum, Litecoint, PIVX, Ripple, Monero, DASH and other 75 cryptocurrencies network. It was supported in 178 countries. You could then spend the 75 different cryptocurrencies on mobile top ups, bill payments, pharmacy and food vouchers, transportation tickets, wi-fi recharges, and PIN-less calls. However, card issuers have deactivated the card. The company is working on a new card. Shakepay also used to enable customers to fund their debit cards using Ethereum and Dash but was shut down this January after their card issuer WaveCrest withdrew from the deal.